Guam is the southernmost island in the Mariana Archipelago and the largest island in Micronesia. Guam is one of the original members of the U.S. All Islands Coral Reef Committee (AIC). *Download 1-pager: 1-pager about Guam (PDF; 706KB). Guam is home to 5,000 species of marine organisms, many of which rely on healthy coral reefs. In Guam’s nearshore waters (0-3 nmi), the combined area of coral reef and lagoon is approximately 69 km2 – nearly 13,000 American football fields! Coral reefs are important to the economic, cultural, political, and social viability of Guam. A 2007 study estimated Guam’s coral reef resources to be worth $127 million/year. Guam’s coral reefs are under stress and being degraded from both natural and human impacts. There are numerous threats to Guam’s coral reefs every day including, sedimentation and crown of thorns outbreaks. These threats (and resulting impacts) will be compounded by threats posed by global climate change. 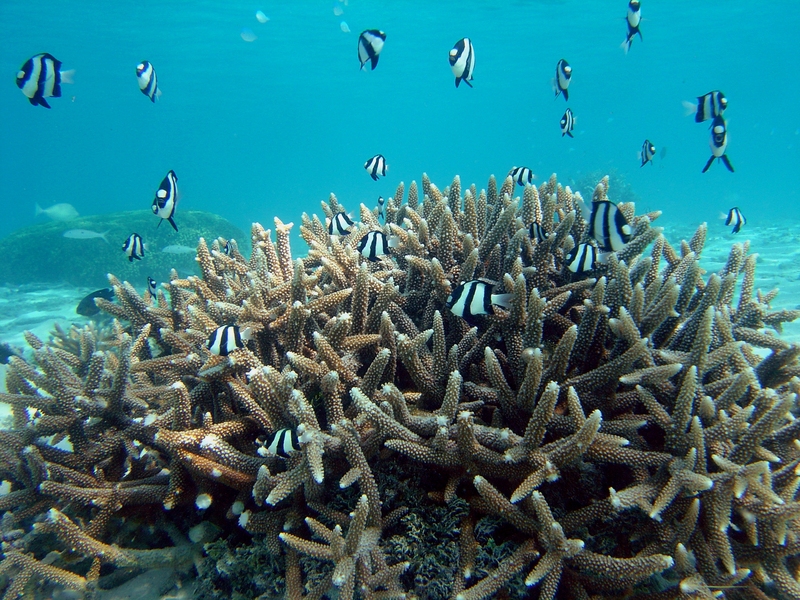 In 1997, the Government of Guam established the Coral Reef Initiative (CRI) to address threats to the reefs. The Department of Chamorro Affairs, point of contact, the Bureau of Statistics and Plans, Guam Coastal Management Program, Department of Agriculture, Division of Aquatics and Wildlife Resources, and Guam Environmental Protection Agency lead most of the efforts of the CRI. Guam Coral Reef Initiative Coordinating Committee has led a participatory process to develop Local Action Strategies to address six main threats to coral reefs in Guam: land-based sources of pollution, over-fishing, lack of public awareness, recreational misuse/overuse, global climate change and reef resilience, and Department of Defense expansion. Re-vegetated upland, barren areas of targeted watersheds (e.g. Piti and Asan watersheds) with native forest species to reduce erosion and sedimentation. Codified best management practices to reduce storm-water runoff to regulate future development projects. Increased conservation officers, conducted training, and providing technical assistance. Distributed user-friendly pamphlets on fishing regulations and the value of Guam’s marine preserves. Assessed SCUBA spearfishing and its impact on reef fish assemblages. “Man, Land, and Sea”, an educational publication on the island’s natural resources, published each quarter in a local newspaper. Marine science curriculum developed in collaboration with the Guam Department of Education. RARE Pride Campaign to stop the illegal burning of southern watersheds. Studied the effects of Motorized Personal Watercraft in Hagatña Bay. Feasibility study for instituting a user fee for recreational activities. 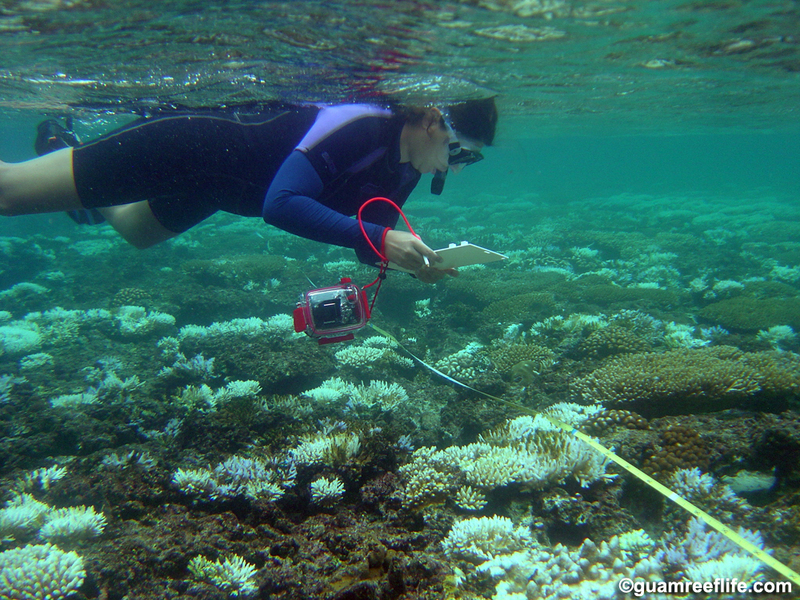 Island-wide baseline survey of Guam’s reefs to quantify disease, bleaching, and coral predator impacts. 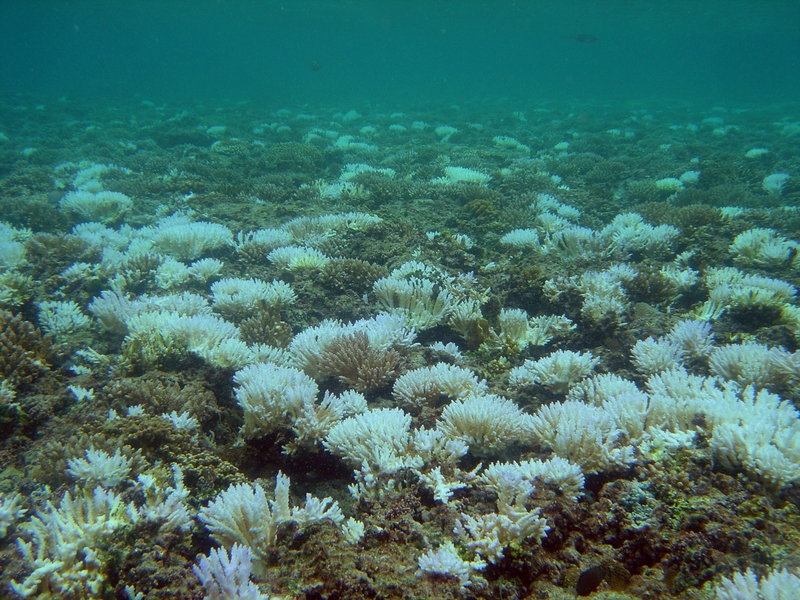 Developed a response plan to coral bleaching events. Specialized personnel hired to review documents associated with the DoD military build-up.